Andhika Wijaya is living in Jakarta as a graphic designer and childrens book illustrator. 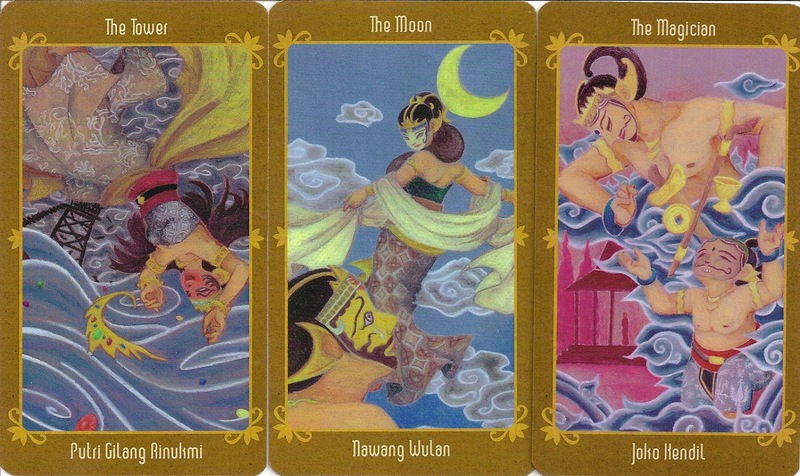 The Javanese Folktales Tarot shows on each card an illustration related to a particular Javanese Folktale, which can be found on her website. 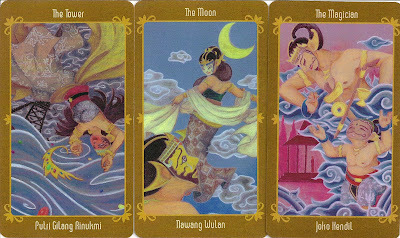 The cards are unnumbered. Each has an English title at the top and a Javanese title at the bottom. The deck came in a lidded gold cardboard box with a ribbon inside for lifting out the cards. The backs are reversible. 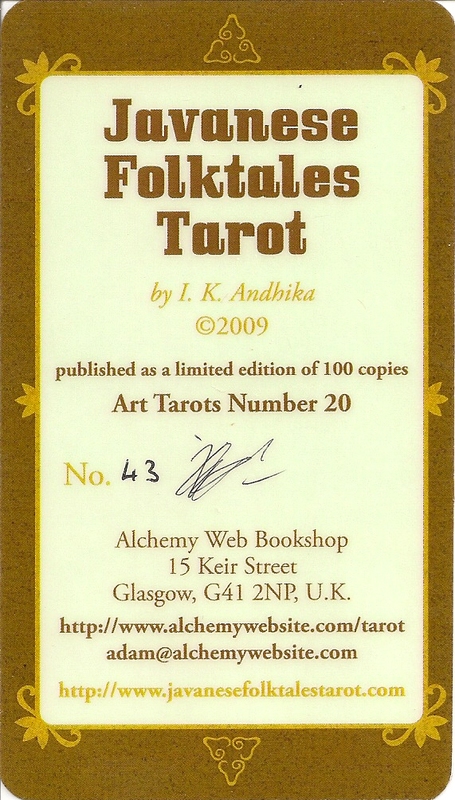 My copy is number 43 of a limited, numbered, signed edition of 100.